It’s Friday! I hope everyone is having a great one. I went to my sister’s a few weeks ago because she said that she had a surprise for me to try. It’s not hard to lure me somewhere when there is a promise of food or drinks. She had made different kinds of lemonades and I was blown away by how simple (and delicious) they were to make! I thought the beet one was the most unique, so I want to share it with you today. If you like this recipe, let me know and I can share the other ones for blueberry basil lemonade (BASIL!!) and cucumber mint lemonade. 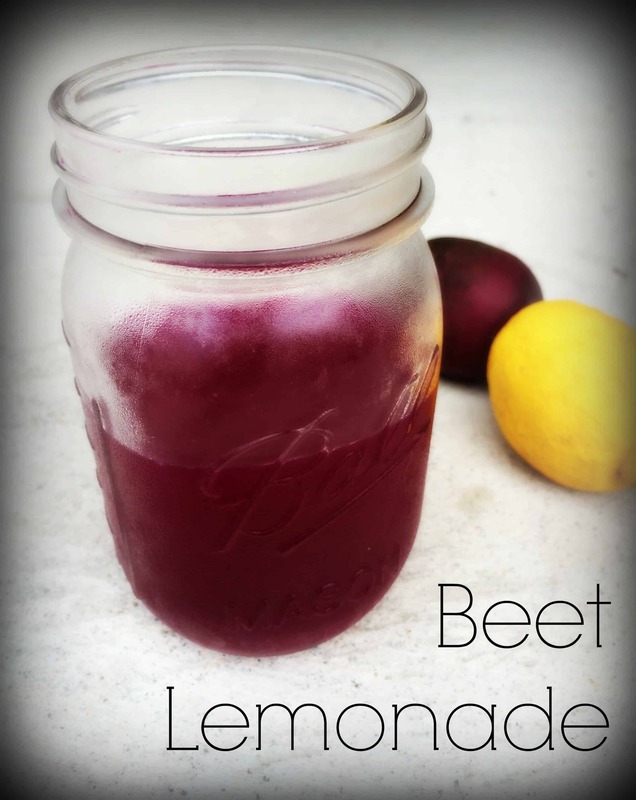 This beet lemonade doesn’t taste like beets at all, but still packs in all the nutrients. It is full of antioxidants and anti-inflammatory compounds and tastes delicious! Try it out and let me know how you like it! Strain the lemon juice to remove seeds and larger pulp pieces. If you don’t have a citrus juicer, you can roll the lemons on the counter to soften them up before slicing in half and using a fork to mash the juices out. Add beet cubes to blender (or magic bullet, whatever) with the agave nectar and blend until smooth. Add lemon juice to help infuse the flavors and blend more. Take the liquid from the blender and run through strainer (helps remove skins and larger bits so they don’t get stuck in your teeth) into pitcher or large bowl. You can use a spatula or wooden spoon to press down on the pulp and help get extra liquid out of the strainer. Add the water and mix. Serve over ice and enjoy! This lemonade was really good and I loved that it had so few ingredients and came together in a very short amount of time. Let me know if you make this or want more variations and combinations. Thanks Jackie! Question of the day: What’s your favorite kind of lemonade? Yum! I love beets in my juices because they give it a nice sweetness (and a gorgeous color!) The only downside is staining my hands 😉 But it’s worth it! I bet this lemonade is super refreshing! I CAN’T WAIT TO SEE THE OTHER RECIPES.